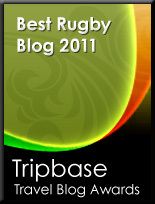 TOTAL FLANKER...a rugby blog: Kerching!!! Great news that England's women have landed a new pay deal. Under the terms of the new deal the RFU will pay the players match fees and training fees when on England duty and it is believed that players involved in all 3 Tests against Canada this November will make between £4,000 and £5,000. While still somewhat shy of what the chaps are paid, this nevertheless represents a significant step forward following the controversial cancellation of the XV-a-side contracts post World Cup.